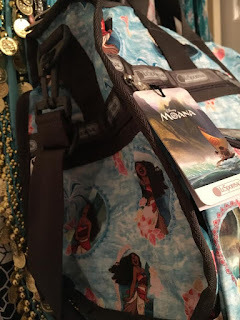 Picturing Disney: LeSportSac Moana Weekender Prize Pack! LeSportSac has sent us this beautiful bag/cosmetic bag combo to share with YOU dear reader! I adore the new Moana collection. This weekender bag is just fantastic! 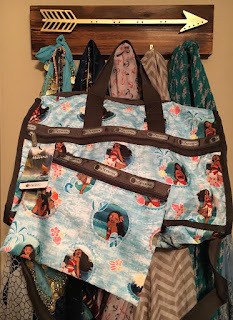 I have multiple sizes in the weekender and I use them for everything from sleepovers for our children, to carry on luggage on planes. I have used my Monster's Inc one over and over and it remains in as good as new shape! 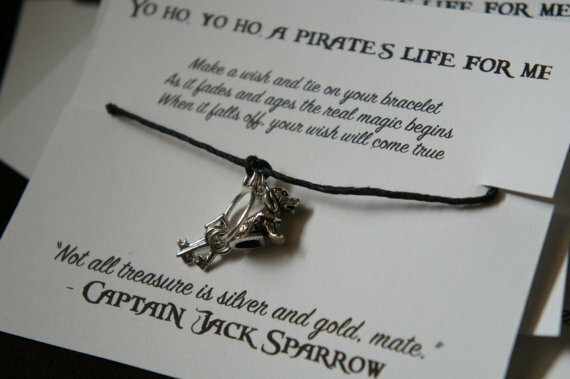 In addition to the fabulous Moana weekender bag I am going to throw in a Pirates of the Caribbean Inspired Wish Bracelet from my Etsy shop and some surprise books from Disney Publishing! The contest runs from 12/16/16 to 12/22/16 (U.S. only). Use the rafflecopter links below!